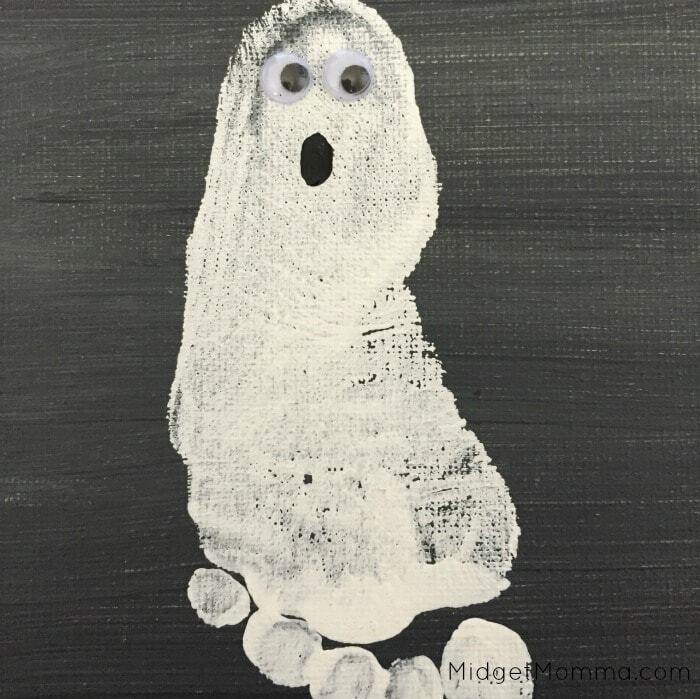 These ghost feet are something cute you will be able to cherish for years to come. I love to see how small my babies feet used to be. You can always change up the colors to suit your little ghost but I went with the classic orange and yellow to keep with the Halloween theme. 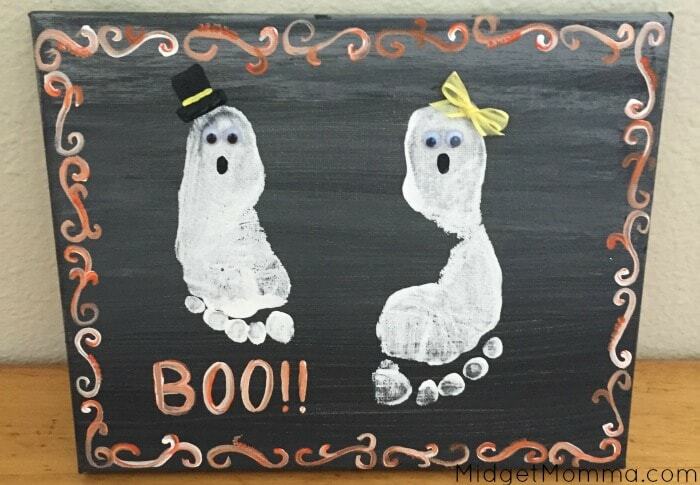 In my picture I was able to do one ghost as my daughters foot and one as my sons foot. Put a small blob of white paint on the top third of the canvas, than a black and white blob on the middle third, than a black blob on the bottom third. 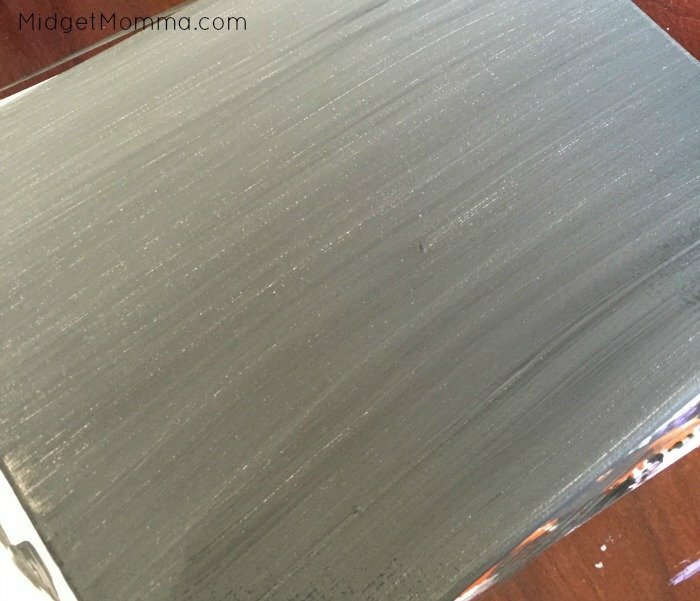 Carefully brush the bottom two thirds of the canvas with the black paint, making sure you paint the sides as well. 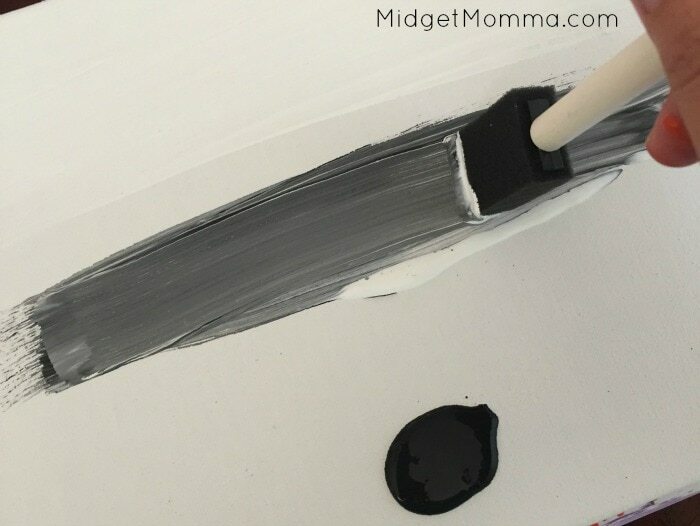 Than carefully blend the black into the white paint to have the color blend. Let the paint dry. 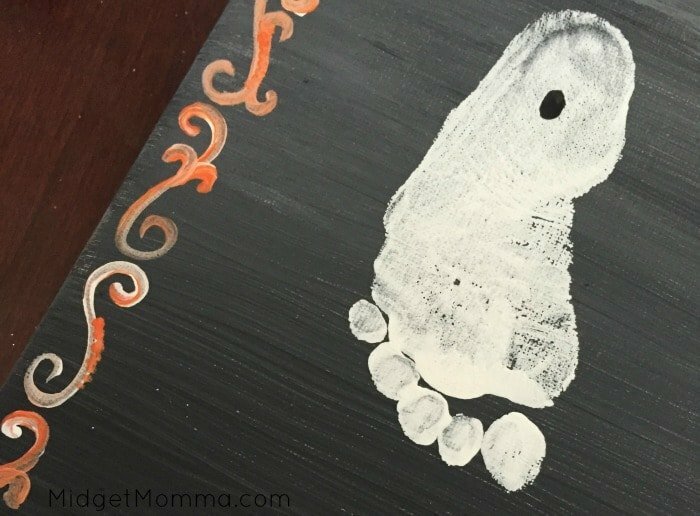 Paint your babies feet white one at a time and press them into the center of the canvas. Let the paint dry. Glue the eyes on to the face. Paint a oval for the mouth. Dip your paint brush into the orange and the white and draw S’s around the edge of the canvas. Add little swirls and dots to the S’s. If you have girl ghost you can add a bow with the yellow ribbon. If you have boy ghost you can add a top hat with the black paint and add a yellow strip to it. With orange paint write BOO!! Let dry.